I love maps, and I was pleasantly surprised when I made my way up to rehearsals at the Drama Centre Theatre yesterday, because there was this display in the lobby of the National Library (Central) featuring the first topographical map of Singapore. That is part of an exhibition on maps called “Geo|Graphic: Celebrating Maps and their Stories“. I plan to check it out when we get a break from preparing for the show. It (both the show and the exhibition) promises to be fascinating. For instance, did you know that Tampines, Toa Payoh and Gelang were named more than a hundred years ago? Or that the terminal building of Kallang Airport still stands? I remember the story my father told me about the time he was a clerk in a bus company in Singapore. It was some time in the 1950s, and some of us will recall that these were troubled times. “I was working in the bus company lah, as an accounts clerk, keeping the books. Then one day this man came and kicked the door open like a gangster. He walked to my table and banged the table and shouted at me: Show me your books! Wah, like a hooligan, the fella. I was scared. So I just show him the books, and he shouted here and there and I just followed his instructions”. The fella, the hooligan and the gangster senior Mr Lee that he spoke about was Lee Kuan Yew, who was then a lawyer from Laycock & Ong, and was representing several trade and students’ unions. But before you kowpeh further about how Singapore is Uniquely like that, you may want to know that the same kind of history is shared with the Labour Party of the UK, the Australian Labor Party and many other countries where labour organisations have sought political representation. The early history of the National Trades Union Congress makes for some exciting reading, but critics of the Government will quickly point out that the NTUC was forged from some iron-fisted politicking, as illustrated by Operation Coldstore. Following the decade of unrest and violence which culminated in the Hock Lee Bus riots which left 4 people dead and crippled the city’s transport system, the Government enacted the Industrial Relations (Amendments) Act of 1968, severely limiting workers’ rights to strike. Where did this leave the NTUC with its close ties to the ruling party? In its own words, it adopted a “cooperative, rather than a confrontational policy towards employers”. This was crucial in the infancy of the newly independent country, and I along with many of my peers, know that it was this basic set up of cooperation which paved the way for direct foreign investment. International companies started setting up factories in the newly cleared Jurong marshes, branch offices in the Robinson Road/Cecil Street/D’Almeida Street areas. And when I was old enough to listen to my father’s story of his encounter with Lee Kuan Yew, it was the 1970s, and we were on the cusp of this fantastic economic boom that propelled us past the rest of our Asian neighbours bar Japan. This would not have been possible if the trade unions maintained an adversarial approach then. But you’d be right to point out that that’s just history, and you’d be right to ask how relevant the NTUC is in present climes. I’ll be helping you look for the answer. Meantime, please enjoy this clip of the fella, the hooligan and the gangster senior Mr Lee not mincing words about some recalcitrant striking pilots. They either never taught us this in history lessons, or I just wasn’t paying attention. 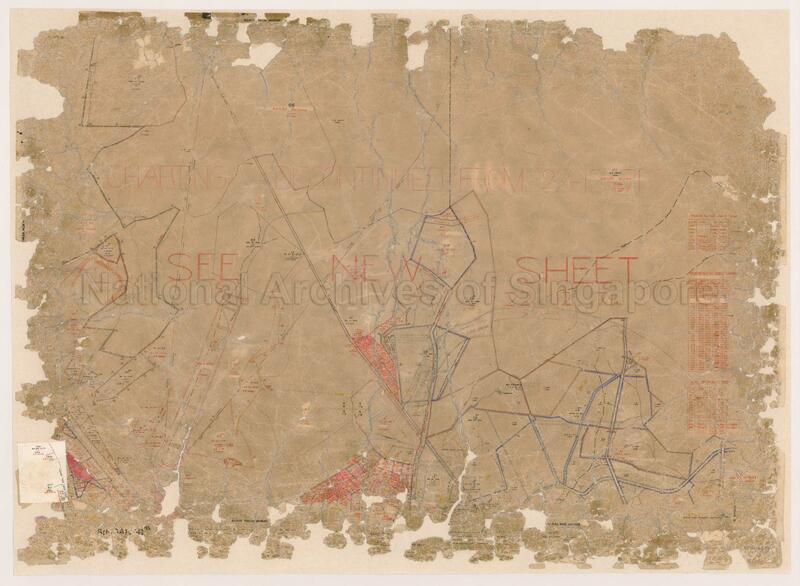 Thanks to a contributor on sammyboy.com, I found out that one of the heroes of the Japanese Occupation in Singapore was Japanese. Shinozaki Mamoru was a press attache with the Imperial Foreign Service and was assigned to Singapore before the Japanese invaded. He was jailed by the British for spying (a charge which he denied), and was freed by the occupying Japanese, and given a role as a welfare officer of the civilian administration of occupied Singapore. Among his heroic deeds included deliberate storage of food supplies in the Thomson area so that the Little Sisters of The Poor would have a steady supply of food; and his very liberal issuing of thousands of safety passes to members of the Chinese and Eurasian communities, an act which probably saved thousands of them from being rounded up and executed. 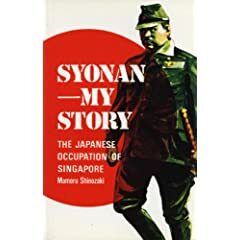 Shinozaki eventually testified at the war crimes trials against his fellow countrymen, and later wrote a book – Synonan, My Story, which is apparently still a source of information about life in Singapore during the Occupation. You can read more about Shinozaki here. Yesterday, someone tweeted something quite innocuous – about food and about how she was about to eat food – but the locality she tweeted about – “Tanglin Halt” – piqued my interest. I’ve always wondered who Tanglin was named for, and why there is (or was) a “Halt” in Tanglin. It isn’t exactly a burning question, so I’ve left it aside for the best part of three decades, until now. 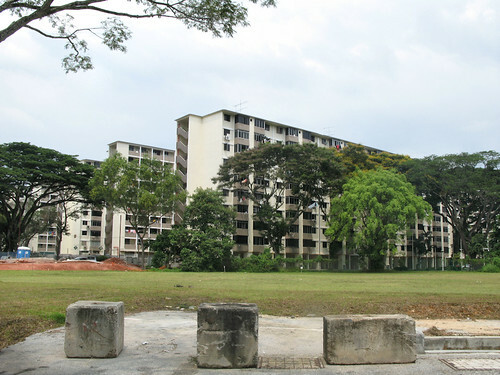 So now I know: The Ten-Storey Blocks on The Great Eastern Hills where The Train of the Land of the Malays (Keretapi Tanah Melayu) used to Halt. Siang ; introduction by Edwin Lee. Author: Song, Ong Siang, Sir, 1871-1941. Publisher: Singapore : Oxford University Press, 1984.
would be the one with the address 30 Hill Street. On streetdirectory.com, it says it’s the former Malaysian High Commission building, but there’s no indication what the site is now used for, and I can’t be arsed to drive there to find out yet. I’ve put the google map of the place up instead of a streetdirectory.com one because, you know, the friendly folk at streetdirectory.com used to take offence at people copying and pasting their maps, and may take such action that may render me lying at the back of Seng Poh’s new house smoking a pipe. Also, according to the librarian, the building’s probably been demolished, but that’s no surprise.